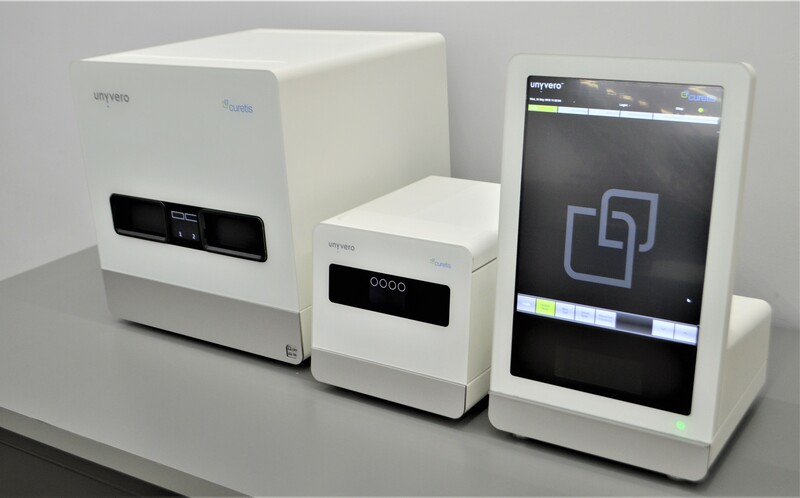 Curetis AG Unyvero Microorganism & Antibiotic Resistance Gene Analyzer System . New Life Scientific, Inc. This Unyvero System was previously used in clinical trials and could need some software updates or significant updates to the analyzer. This instrument is warranted functional and protected by our 90-day warranty. U.S. DISCLAIMER - Caution - Investigational Device, Limited by Federal (or US) Law to Investigational Use. Not available for sale in the United States. For Investigational Use Only. Our in-house technician inspected and tested this Curetis AG Unyvero Microorganism & Antibiotic Resistance Gene Analyzer System, confirming it powers on and passes initialization and self-diagnosis. Technician could not test further, as we do not have the necessary login information.